Robert Dittus, MD, MPH is the Albert and Bernard Werthan Professor of Medicine, Chief of the Vanderbilt Division of General Internal Medicine, Director of the Vanderbilt Center for Health Services Research, Director of the Meharry-Vanderbilt Institute for Community Health, Director of the VA Tennessee Valley Healthcare System Geriatric Research, Education and Clinical Center (GRECC), Director of the Center for Improving Patient Safety, Senior Quality Scholar of the Department of Veterans Affairs and Director of the Nashville VA/Vanderbilt Quality Scholars Fellowship program, Director of the Vanderbilt Clinical Research Curriculum and Co-Director of the Meharry Clinical Research Education and Career Development Program. His undergraduate degree was in industrial engineering at Purdue. He attended medical school at Indiana University and completed residency and chief residency in internal medicine at Indiana. He received a M.P.H. from the University of North Carolina at Chapel Hill during his fellowship training in the Robert Wood Johnson Clinical Scholars Program. Dr. Dittus has been the principal investigator of over 20 grants from predominately federal sources and co-PI or co-investigator of over an additional 30 grants with total research funding exceeding $100 million. He has a long history of managing multidisciplinary research teams including the coordination of investigators at different sites. At Indiana University he was Director of the Clinical Practice and Health Policy Analysis Program at the Regenstrief Institute and Co-Director of the Bowen Research Center. He was co-PI of one of AHCPR’s PORTs. 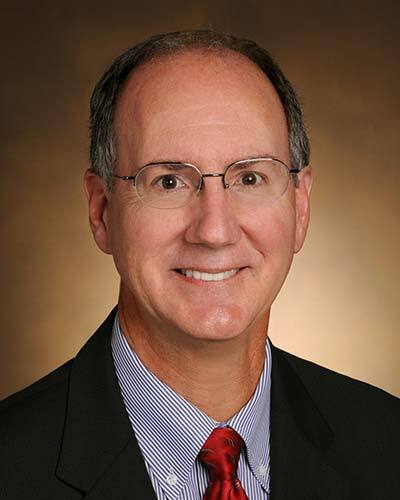 Since his arrival at Vanderbilt in 1997 as Chief of the Division of General Internal Medicine, he has created and is Director of the Center for Health Services Research for which he has recruited over 50 faculty. The Center currently has approximately $100 million in awarded funding. He has created and is Director of the Institute for Community Health which is a collaboration between Vanderbilt University and Meharry Medical College to conduct research aimed at reducing the disparities among racial/ethnic and socioeconomic groups in disease incidence, process of healthcare and outcomes from care. He was awarded funding from the Department of Veterans Affairs to create a Geriatric Research, Education and Clinical Center (GRECC). In its first three years GRECC faculty have over 60 funded grants representing over $140 million in research funding and have published over 400 articles. Dr. Dittus has a long track record of education curriculum development and training fellows in clinical research and is the principal investigator and director of the NIH funded K30 clinical research curriculum at Vanderbilt. The curriculum includes both a Masters in Public Health and a Masters of Science in Clinical Investigation. He is also the co-Director of Meharry Medical College’s Clinical Research Education and Career Development Program which sponsors a new Master’s of Science in Clinical Investigation. Dr. Dittus has been the principal investigator of twelve federally funded health services research training grants and has trained over 70 fellows and junior faculty of whom over 90% are in academic medicine. Since his arrival at Vanderbilt, he has served as the career and research mentor for junior faculty receiving funding from NIH K23 and K08 awards, Robert Wood Johnson Foundation Generalist Physician Award and Minority Faculty Awards, the Paul Beeson American Federation of Aging Research Award, and the American Diabetes Association Career Development Award.